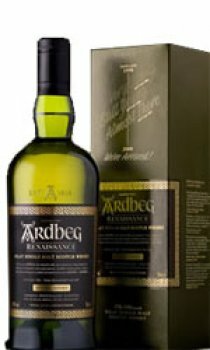 Ardbeg Renaissance is the eldest in the family of young Ardbegs. Released in limited quantities at 'full strength', it has a deeper, fuller spectrum of Ardbeg flavours. A supernova of aromas and tastes is released as a heady sophistication rises from the deepest peat - the pinnacle of peaty maturity.